The Trinity strikes a different tone to the likes of the Khan or Pola with a more musical, slightly warmer and forgiving presentation than what I was expecting. Sure the “stats” upper treble is there but it is not as stark or pervasive as the competing ‘electrostatic’ infused monitors. 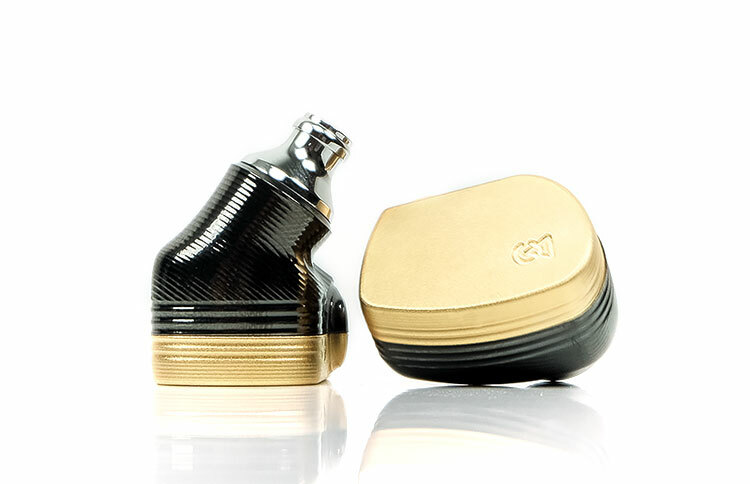 The tuning on the Trinity Brass edition is fundamentally u-shaped though not an exaggerated one unless you roll with 3rd party hybrid tips which tend to emphasize the bass response a bit more. The Brass edition has a relatively smooth but light and airy tone with a gently lifted low-end that strikes me as relatively linear from the sub-to mid-bass. You will get a decent impact from that 8mm driver though it is not gut-wrenching or as powerful as some of the 10mm alternatives I have heard such as the Solaris ADLC dynamic driver. There is a slightly dipped lower-midrange up to 800Hz and fairly forward but smooth rise from 1-4k so vocals, particularly female vocals do come to the fore. The top-end is very nicely tuned and will definitely appeal to those who like bags of detail but not necessarily an overly energetic and forceful treble sound. It is airy, well extended but not forced or peaky sounding. It does seem to have a tiny bit of roll-off compared to the Pola and Khan but in return, you get a much smoother sound. Tips will play a major role in the final presentation. Out of the supplied tips, we found the Whirlwinds to be the most open and engaging sounding with plenty of energy but a little bass light. The double flange silicone tips beefed up the low-end a little more with a slightly smoother sound but you lose a little more sparkle beyond the mids in comparison. We also rolled some foams and Symbio tips and it was the Symbio’s that dug the deepest out of all the tips for sub-bass power and definition without killing the Trinity Brass’s overall balance. The foams sat somewhere in between the Symbio and dual flange tips, sounding meatier than the supplied tips but not as impactful as the Symbio tips. The Trinity has excellent staging properties delivering above average depth and superb height. Higher pitched vocals will sound a touch more intimate and lack the body of a Solaris vocal delivery but they also sound a little more open with more spacing around them. That slight lightness in Trinity’s instrumental timbre really enforces the perception of some excellent instrumental separation and helps keep the mids very spacious and relatively clean sounding once you hit the upper-mids. As a result, the Trinity soundstage is big, almost arena like in many ways. Tips will alter the emphasis a little in Trinity staging. The Whirlwind tips tend to deliver a very open midrange and excellent height but you lose a tiny bit of depth and power. The dual flange balance it out a little better for and the Symbio tips introduced much more power and depth. The Trinity Brass does not have the biggest dynamic driver at 8mm but it does sound quite balanced and coherent. The tuning has all the characteristics of a quality dynamic driver with excellent texture and detail and a slightly longish decay but not an overpowering “always-on” feel to its performance. It has some elevation up to around 80-100Hz but after which it steadily drops to around 800Hz-1k. It will inject some warmth, good body and impact. Certainly, if you are coming from the likes of the Pola or Khan hybrids you will find the Trinity to be the warmer of the two. As such the bass signature of the Trinity delivers a more than decent fundamental to lower-pitched instrumental notes and matches quite well with modern pop and rock demands. Those signature low-end sub-woofer type thumps from Childish Gambino’s Worldstar sound convincing but yet at the same time Danzig’s Tommy Victor’s guttural lead guitar chops on Twist Of Cain has plenty of even-harmonic warmth to punch with pleasing authority. Lower-mids are slightly dipped but not recessed and do help to create a greater perception of distance from the stage. From 1k to 3-4k the Trinity gets a fairly substantial bump up to the upper-mids so you get plenty of percussion presence and a lively character to the Trinity Brass’s mids. Instrumental timbre still stays relatively natural sounding with lower pitched notes pulling from a stronger bass fundamental from that dynamic driver for good weight. The further up you go the lighter and more neutral sounding the instrumental timbre gets with that fabulous treble tone starts to weave a more dominant influence. Also, because of the balanced armature midrange focus, you get excellent levels of detail and top-notch speed in their delivery. Male vocals sound very clear to my ear and I suspect the balanced armature aspect to the Trinity design plays a strong role in keeping it that way. Despite the clarity, I find lower pitched vocals not to be that forward sounding with the Trinity and rather more neutral in their positioning. Female or higher pitched vocals that cross that bump in the midrange of the Trinity are more forward with slightly more body and presence. This is super nice treble delivery with a perfect balance between detail and headroom, weight and articulation. I like my treble to sound natural, real but articulate and fast and the Trinity does just that. Makes you wonder why Stax decided to roll off the treble on their Baby Stax in-ear models instead of giving us a taste of the benefits of stats drivers treble capability. This is an airy treble, a fast sounding signature with outstanding levels of detail. Percussion is exciting without being splashy sounding. The tone provides an excellent contrast to the warmer mid-bass tone of the Trinity low-end as well as providing a good harmonic balance for instrumental timbre. I must caution that compared to the Khan and Pola there is slightly less ‘stats presence’. Jomo has just smoothed it off a little beyond 8k to keep the signature finely-balanced. Treble heads looking for a bigger ‘stats’ hit I would direct you to those two models. Nevertheless, our measurements would indicate the energy is still relatively boosted well beyond 12k which is where those tweeters play a vital role in terms of staging height and that airy sound. The Trinity is rated at a fairly reasonable 30Ω but at a demanding 96dB SPL. You will need plenty of gain or current to drive the Trinity to optimal loudness levels. Smartphone users will find headroom an issue unless the output power and clarity is above average. On our LG G6, we found the Trinity to sound optimal around 60 but we could push it all the way up to 75 (highest level) without it totally blasting our ears. We found similar results with the Huawei P20 with a comfortable setting around 80-85% of full volume and being able to get higher at a pinch. For DAPs, the current/gain requirements followed a similar pattern with the Sony 1Z being taxed to around 105 in low gain and around 85-90 in high gain unbalanced. With the Lotoo PAW Gold Touch, we had it at 75 in low gain unbalanced and 50 in high gain. Using the HiBy R6 Pro in low gain unbalanced the volume sat around 50-55 for most of our testing. Compare that with the Campfire Audio Solaris at under 25 using the same conditions then you should get a fair idea of where the Trinity comfortably operates. The key difference between the two tested smartphones and the DAPs was headroom. You should not have too many issues driving the Trinity from a good DAP with decent power and at the same time have more than enough in reserve for volume. We tested 4 DAPs and 2 portable amps with the Jomo Audio Trinity and it really comes down to a question of personal preferences in terms of synergy. The Lotoo PAW Gold was perhaps the cleanest of the pairings with a slightly forward treble presence. Of all the DAPs I felt the Touch brought out the electrostatic clarity the best and certainly provided the most width and instrumental separation. 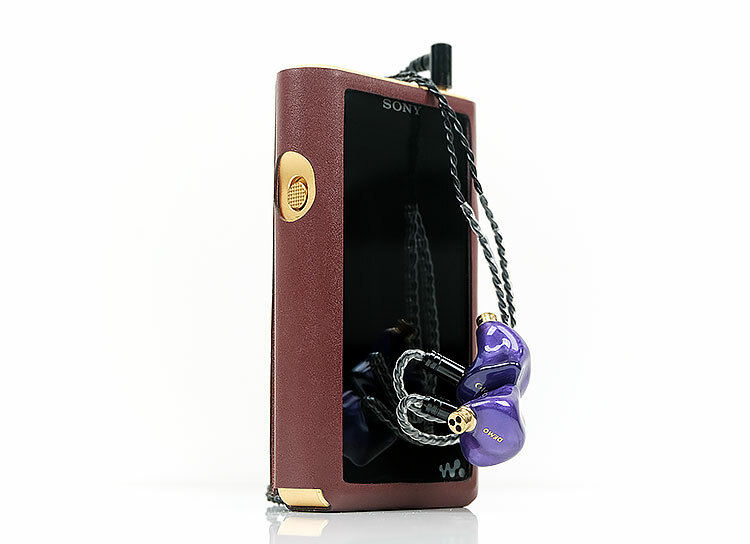 Both the AK380 and Sony 1Z delivered a smoother sound with a bit more body and pulled back a little on the treble forwardness on the Trinity compared to the Lotoo. Further down the chain, the HiBy Music R6 Pro didn’t quite have the same holographic staging with the Trinity as the Lotoo pairing but did have a smooth timbre and decent treble detail. For those that like portable amping the Trinity scales pretty good actually and quite resistant to higher noise floors. The Aroma Audio A10 delivered a very nice black background and plenty of energy though sounded the slightly darker of the two compared to the ALO Audio V5. The V5 tube amp was dead silent in low gain with the Trinity. Tonally, the V5/Trinity pairing delivered a sweet and open sounding set of mids though at the cost of slightly less low-end slam compared to the dynamic and punchy A10. The Khan is Nobel Audio’s latest flagship universal monitor and much like the Trinity, it is a hybrid design. Unlike Trinity, the Khan is using a single 10mm piezoelectric super tweeter as opposed to the dual electrostatic drivers deployed by Jomo. For the lows, the Khan uses a 10mm dynamic driver and 4 BA for the mids and highs which mirrors the rest of the Trinity driver breakdown. I presume the crossover on the Khan is 4-way also but as to what type we do not know. Noble generally never reveal this type of information publicly. 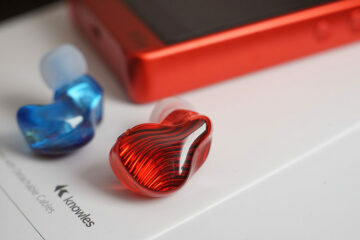 Both are acrylic shell universal builds with very attractive but different design aesthetics. The Khan is a black shell with modern M3 composite twist on the traditional Mokume Gane metallurgy process for the faceplate. The Trinity is all purple but with a slightly more aggressive custom universal shaping. The Khan has a longer nozzle so it penetrates slightly deeper but the body sort of hovers over the ridges of your ear whereas the Trinity sits a bit closer. You get a far bigger selection of tips with the Khan including foams which is a type of tip I think should be in the Trinity bag. The whirlwinds are pretty good silicone tips though and better than the supplied silicone tips with the Khan. Both are using a 4-wire SPC cable with similar properties for microphonics and memory retention. The Khan’s 3.5mm jack is straight with a gripper straight metal barrel compared to the smaller right-angled 3.5mm jack on the Trinity. I also like the black and white jacket on the Khan wire. It matches the black and white tone on the main build and very complimentary in aesthetics. Noble has not released any performance numbers for the Khan so our comparisons really are on like for like basis. We tested using sources including a Sony 1Z, Lotto PAW Gold Touch and amp stages including Aroma Audio’s A10 and N10 DAC and portable amp setup. 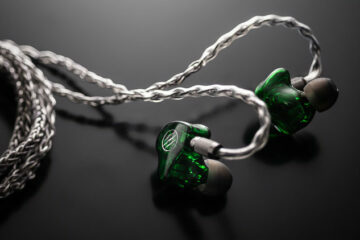 Traditionally, Noble has put out most of their IEMs at around 20-30Ω with reasonable levels of sensitivity. With the Trinity at 30Ω and a very inefficient 96dB SPL, you will find the Khan the more sensitive of the two by far. Not that the Khan is hugely efficient in its own right, just that Trinity 96dB takes some juice to get going. On the Aroma A10, we were on a modest low gain setting (9am) on the analog pot with the Khan. With the Trinity, we had to go a little higher on low-gain at 11am on the pot. Direct from the Sony 1Z the Trinity pushed its low gain volume all the way up to 105 with the Khan a good 25 steps lower around 80. Indeed, there are some tonal differences between these two flagship hybrids. The Khan is a little more neutral sounding with a slightly shorter decay, flatter low-end with less mid-bass bloom and a more forward sounding treble with a bit more extension. The Trinity Brass opts for more bass physicality and weight, a bit more warmth in its instrumental timbre, and overall a smoother sound. However, the treble on the Trinity is a little more relaxed, even with the Whirlwind silicone tips and foams on the Khan. If I switch to foams on the Trinity (CA versions) I find the bass bloom to be overpowering and I lose a bit of clarity and openness. I do like the Khan mids clarity. They do seem to benefit from that more linear bass signature sounding more open and spacious. However, there is a slight hardness to the vocal and instrumental timbre with that more prominent treble infusing additional odd-harmonic presence. Great for guitar plucks and percussion snap but little less forgiving overall for longer listening sessions. The Trinity Brass will sound that bit warmer in the mids and the more forgiving of the two by comparison due to the more relaxed treble. However, the lower pitched male vocals just lose a touch of clarity when the mid-bass starts to get busy and do sound as though they sit a little further back sub-1k than the Khan. We just got this one in a few weeks ago so it is early days yet for the Pola. We first saw the Pola almost a year ago in a very different format at CanJam Singapore. However, despite the changes, the promised competitive price stayed at $750 for the universal. This one is the custom format and may cost a little more. The Pola custom is a single 10mm graphene dynamic driver and a Dual Electrostatic Super Tweeter design. The universal has a bigger 13mm dynamic driver. It does not use any BA tech like the Trinity or the Khan but it does have the largest dynamic driver of the two. There is a passive two-way crossover to integrate both sets of drivers using AAW’s TrueXross technology. A bit hard to draw comparisons with custom and universal thought the materials are similar with translucent green and red two-tone acrylic build for the Pola and an acrylic all-purple build for the Trinity. Both are attractive in their own styling and of course, the custom build of the Pola is going to produce the best seal and fit of the two. Both also use a 2-pin 0.78mm connections as standard. The cable is a Symphonym Tiburon UPOCC Copper Cable pulled from the partnership of AAW and Null Audio. This is quite a good cable build using a 26AWG 4-wire UPOCC copper in a transparent PVC jacket and a slightly long-throw braid finish. Null sell this for $169 so it is on the same level as the EA Ares II and I would class it as an upgrade on the 4-wire SPC Litz build of the Trinity stock cable. The Pola is rated at 16Ω with an approximate 98-100dB SPL though the final number is not confirmed as official data. If you check on their site you will see the SPL is not listed. In our testing we found the Pola to be fairly inefficient but not quite hard to drive as the Trinity. Both will not require huge amounts of amping but they do need quality amping with decent headroom to sound at their best. The gap between the two is certainly much smaller than compared to the Khan. The Sony 1Z sat comfortably around a volume of 95-100 in low gain compared to 105 with the Trinity. On the Aroma Audio A10 portable amp with the Lotoo PAW Gold Touch line out the difference was marginal with almost no adjustment required at all (both around 11am). The Trinity Brass is a little more musical and smoother to my ear than the Pola. That is not to say the Pola is a lifeless affair, far from it. Rather, the Pola presentation is a little more neutral and definitely more linear sounding in the low-end. That surprised me with that bigger 10mm graphene driver compared to the 8mm of the Trinity as I was expecting a bit more. As a result, the Trinity will sound the slightly warmer of the two with more bass physicality. It will hit a little harder though I must give props to the Pola, the definition right into the sub-bass is excellent. You get a bit less quantity and mid-bass bloom in exchange for a very coherent reference type bass response. The Trinity also has a bit more detail in its instrumental texture with those four BAs covering the mids and highs. Higher pitched vocals on the Trinity Brass are further forward and slightly richer sounding. The Pola is a little cleaner in vocal timbre and more neutral in positioning but there is less of a lower mids dip so lower pitched male vocals have a bit more body on the Pola. Now if you switch to foams on the Trinity you will soften up the signature a bit more and dial down those stats tweeters to a fair degree compared to the Pola. The Pola custom tweeter tuning has a bit more presence than the foam Trinity Brass presentation, however, the Whirlwind tips bring plenty of treble presence back. The Solaris is also a hybrid but lacks an electrostatic or piezoelectric driver component. Instead, the Solaris consists of a single 10mm A.D.L.C. dynamic driver, a single rear-ported midrange BA driver and a high-frequency dual custom BA driver for the highs. I thought it would be an interesting comparison because of CA’s T.A.E.C. tech which they use to bring out a high level of performance from the treble. The Solaris is quite a big monitor compared to the Trinity, huge in fact. I give props to Campfire Audio for the alloys and 24k gold plating materials used. They look premium and even puts the Trinity in the shade for bling quality. Where the Trinity has an advantage is that it is lighter and with better contouring for a comfier fit. The Solaris does tend to stick out a little more and leverage the thicker nozzle to secure the fit. You will feel it in your ear a lot more. The custom universal contouring of the Trinity means it can go flush and get a good fit fairly easily. The use of foams on the Solaris will actually get a better level of isolation than the supplied tips on the Trinity despite the better fit. Changing the Trinity to foams cancel that out but I do not recommend foams on the brass nozzle Trinity version, just a little too warm for me. Both use SPC 4-wire Litz builds though Campfire now refers to their supplied cable as SuperLitz, being an upgrade from their previously supplied Litz cables. The build between it and Trinity’s stock SPC Litz 4-wire is slightly different. The CA is a silvery aesthetic with a twisted build compared to the all-black braided jacket build of the Trinity stock cable. The Solaris also uses beryllium MMCX connectors compared to the 2-pin of the Trinity. Other than that, the microphonics and handling are quite similar though I give the edge to the CA cable for being a little less memory retentive. The Solaris is rated at 15Ω and 115dB SPL and it is by far the most efficient universal monitor I have in our 200 units here in the office and much more efficient than the Trinity’s 30Ω and 96dB SPL. This is one super easy to drive monitor but the synergy for me is a little fussier with its cleaner sound compared to the Trinity brass’s more relaxed presentation. As an example of the efficiency gap, the Solaris is comfortable at 65 on low-gain on the Sony 1Z. The Trinity shoots all the way up to 105 on low gain. That is a 40-step gap and about right given the 0.5dB per step gain increase on the 1Z volume control (40 steps = 20dB). Just an additional word on noise. The Solaris is sensitive to high noise floors compared to the Trinity. Whilst you need much more gain and power for the Trinity it will be much more quiet noise resistant. Oh boy, this is a close one in terms of tonal excellence. The Solaris A.D.L.C. does outperform that 8mm dynamic driver in the Trinity in terms of quantity and pure depth. It is the more physical of the two, the more forward and delivers a bit more power. You can tell it is the bigger driver right away even though by Atlas standards it is much more controlled. Vocals on the Solaris also have a bit more richness and sound the more forward of the two, particularly for female vocals. Here the Trinity sounds a little cleaner, faster, and lighter in body for instrumental and vocal timbre using the Whirlwind tips. If I switch to foams on the Trinity Brass I can introduce a lot more body to the instrumental and vocal timbre and close the gap to the Solaris performance. It will exaggerate the bass and darken a little compared to the whirlwind tips that sounds more open to me. However, for those that want something full-blooded then foam tips are a good option. Both have excellent treble but I give an edge here to the Trinity Brass with its more consistent lower-to-upper treble curve whereas the Solaris upper-mids to lower treble is a little muted compared to its upper treble. Honestly, these are two top class hybrid designs but coming from different directions. I gave the low-end edge to the Solaris and upper-mids and treble to the Trinity Brass. Mids are a preference thing, more body for the Solaris and light and cleaner tone to the Trinity. I have heard three or four of these hybrids to date and by far the Trinity Brass is the most musical sounding of the flagship hybrid ‘stats’ IEMs. This is the one I think the vast majority will find the smoothest and most forgiving for a very wide range of genres. 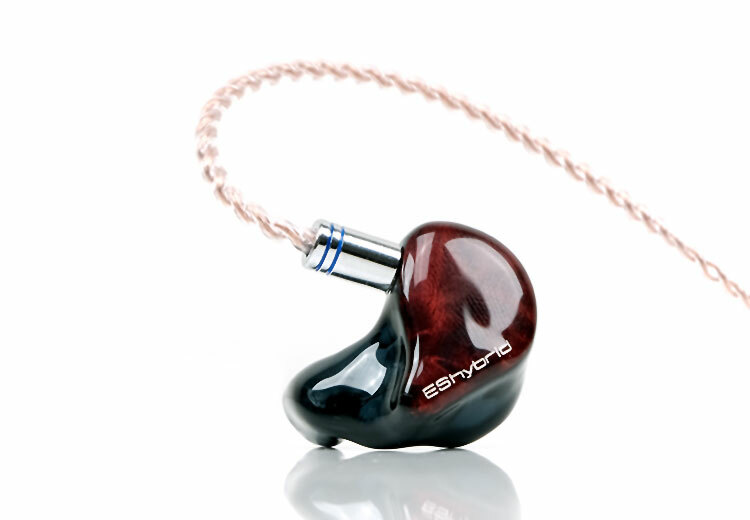 Tips can and do play a role in this universal IEM’s sound. I have tended to stick with the Symbio hybrid tips for that juicy and powerful sub-bass performance. If you want to keep the treble and mids as open as possible then stick with the excellent stock Whirlwind tips. With the Trinity Brass (and SS edition) we have truly entered the era of the stats driver hybrid monitor. It is an exciting time because the Trinity (along with Khan and Pola) is leading the way in bringing a very different sound to the market that should appeal to those who wants effortless treble without all the associated harshness that BA designs can sometimes deliver when pushed too hard.